We have renamed Ringo to Nancy, as Ringo did not suit this female ringneck. 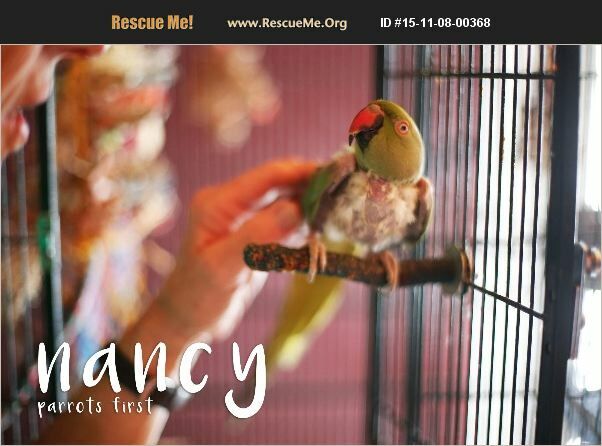 When Nancy came to us we could not even walk past her cage as she was so fearful. She still does not want to be picked up but lets her foster mom rub her head and she gives kisses. We think with work she could even be more friendly. She would require a very large cage or aviary as Ringnecks do like to move around a lot. Nancy came to us picked and does continue to do so.